Grenfell Action Group (GAG), which describes itself as working to defend and serve the Lancaster West community, voiced safety concerns over the 120-apartment block in West London back in January 2016. “It has been very clear for some time to the residents of Grenfell Tower that those responsible for ensuring the smooth running of Lancaster West Estate are failing in their duty of care and willfully allowing our residential amenity to decline in unacceptable ways,” a GAG blog post reads. The tower had an “accumulation” of “household ‘bulk’ rubbish,” including old mattresses, in the entrance foyer, which constituted a fire risk and “a danger to residents,” the blog said. With an improvement work underway, there was no elevator access to the ground floor, according to the blog. “Not for the first time we must ask how safe is Lancaster West, can staff be trusted to ensure it is safe, and what hidden fire risks might be lurking in Grenfell Tower or elsewhere on the estate?” it said. I'm afraid Grenfell Tower may demonstrate once again that neglect of safety regulations more dangerous than any terrorist. Grenfell Tower was completely engulfed in a blaze that started and rapidly spread on Tuesday night. Reports on social media suggest people are trapped inside, while officials confirmed that there have been a number of fatalities. At least 45 fire engines and over 200 firefighters and officers have been deployed to the scene, the London Fire Brigade said. According to the London Ambulance Service, 50 patients have been taken to hospitals so far. 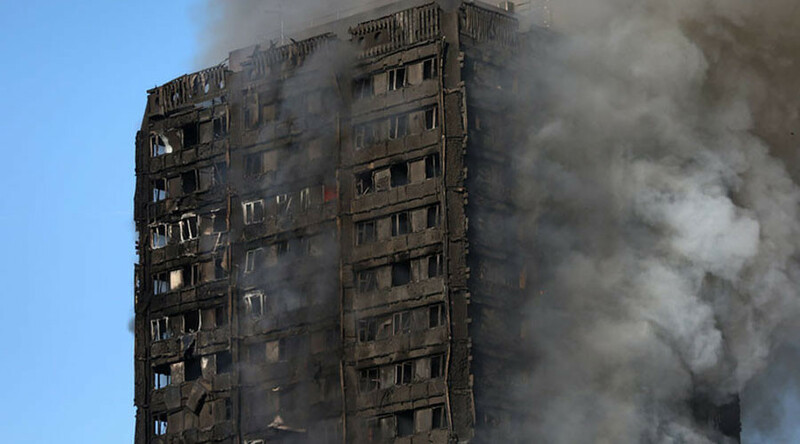 Following the incident, GAG said that it posted numerous warnings about the very poor fire safety standards at Grenfell Tower and elsewhere in neighborhood. Terrible news from #grenfelltower this morning. London landlords have been warned a number of times about poor fire safety controls. Someone need to go to jail!